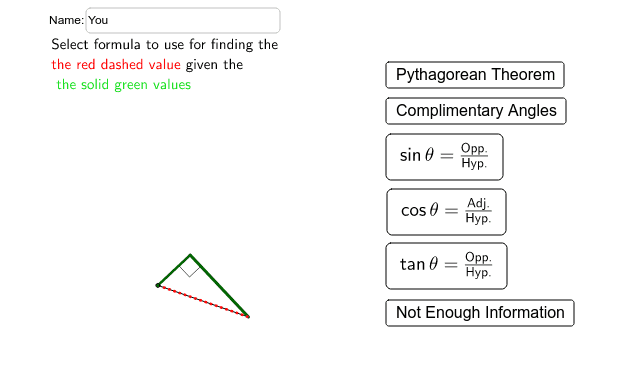 This may seem like a lot of formula choices but there are really only 5 formulas, Trigonometric definitions, Pythagorean Theorem and Angle sum. They are shown in different forms. The following applet lets you choose the equation which may take some algebra to solve.